Signed by the author at Blackwell's Bookshop in Oxford on Saturday 31st January 2015, also attended by Andy Serkis. The book is accompanied by a hard copy of the event photograph of Shannon and Serkis from the signing event. 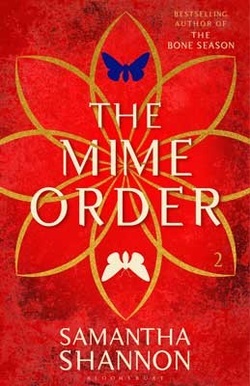 As Scion turns its all-seeing eye on the dreamwalker, the mime-lords and mime-queens of the city's gangs are invited to a rare meeting of the Unnatural Assembly. Jaxon Hall and his Seven Seals prepare to take centre stage, but there are bitter fault lines running through the clairvoyant community and dark secrets around every corner. 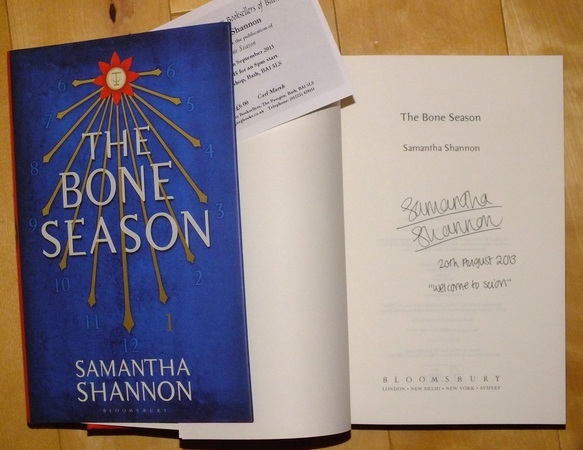 The Bone Season Film News : London-based performance capture studio The Imaginarium, founded by Andy Serkis and Jonathan Cavendish, has secured the film rights to The Bone Season by Samantha Shannon. Serkis and Cavendish will serve as producers on The Bone Season.